What were you doing in 2008? It's hard to believe it's already been eight years, right? I was 28 years old and on my fourth year of employment with Luke's of Cape Cod, but I finally found my love for wine in February of that year. Better late than never, so they say. From there I proceeded to obsessively educate myself on the beverage. Meanwhile in 2008, on the other side of the world, three guys were dining on the rooftop of the Beijing Hotel doing the normal boring social interaction stuff (ew, gross) until they were served a bad bottle of wine (ew, grosser). This brought up the discussion of how nice it would be to take this problem into their own hands and make great wine themselves. This idea in the brains of these three men is a bit different than most of us who jokingly say this, because they actually followed through with it and made it happen. Matt Reisenweber, Daniel Schulte, and Steve Anderson went home to the states, brought Bob Bertsch in on it, and got the ball rolling with four owners. Schulte and Anderson were from Kansas City but this new winery would be planting its rootstock in Washington, the home state of Riesenweber and Bertsch. Their new adventure needed a name and, because of their mutual backgrounds in the financial market, they decided on Market Vineyards. Their new adventure also needed a winemaker. They searched around Washington looking for the winemaker that would best bring their vision into realization, and the man for the job was clearly Charlie Hoppes. Charlie grew up in the Washington town of Wapato, located in the now famous Yakama Valley. He graduated from Eastern Washington University for economics and was employed by Boeing. But with the Washington wine industry starting to take form in the early 1980's, he began making wine using fruit from a vineyard near his in-laws and decided this was his calling. He graduated from the University of California - Davis with a degree in Agriculture Science and Medicine in 1988 and headed right back home to Washington. After a few years of working for Snoqualmie Vineyards and Waterbrook Winery, he was hired as a winemaking team member by Chateau St. Michelle in 1990. 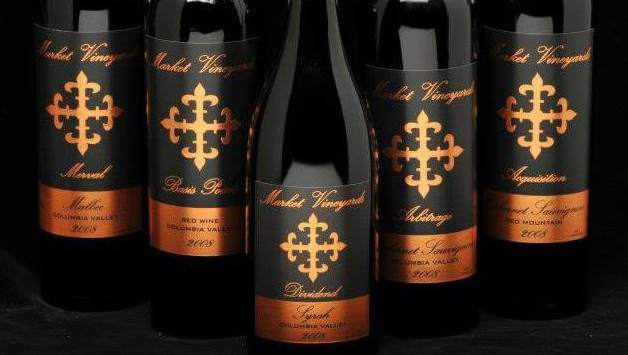 He became their Head Red winemaker in 1993 and left in 1999 to blaze his own trail. Three Rivers Winery was a startup he was involved in from then until 2002, but he started his real passion project in 2000: Fidelitas Winery. But he doesn't put his focus on just Fidelitas. His Hall of Fame record is filled with making or consulting on a ridiculous amount of wine for the top wineries in Washington. 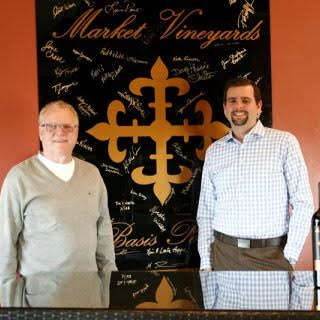 Charlie is one of the most respected winemakers of Washington State and is considered a pioneer of its wine industry. 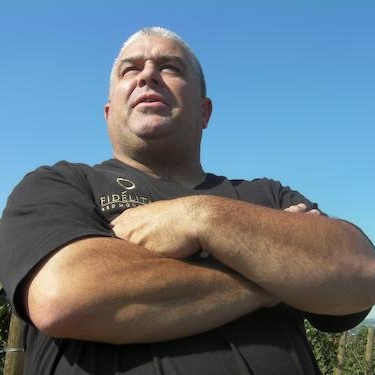 He is also the winemaker for Market Vineyards. 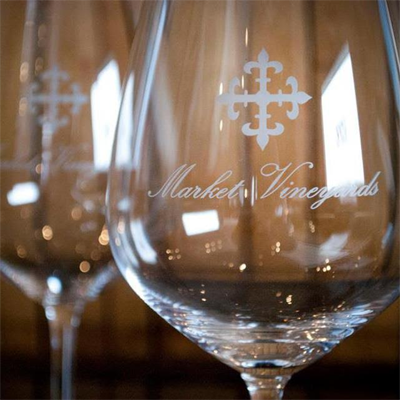 Once Charlie was brought in, Market Vineyards started as an exclusive membership-only winery in Richland. 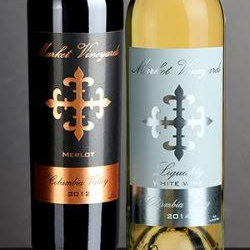 In 2011 they opened their first tasting room in Richland and opened their wine up to the public, since opening up a second tasting room in Woodinville. In 2012 a fifth owner came aboard in Kelly Precechtel Bright, who also runs the Richland tasting room. Their focus has always been on red wine, only producing one white. 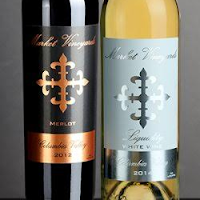 Today they produce 3,000 cases of wine annually (which will probably increase very soon due to demand) and source their grapes from the premier vineyards of Columbia Valley. No, they do not own any vineyards... but they buy the best grapes! The heart of the winery and its wine is Red Mountain, an AVA that's within the Yakima Valley AVA, which is also within the Columbia Valley AVA. Red Mountain covers 4,040 acres of eastern Washington and, like Market Vineyards, is all about the reds. I have the pleasure of reviewing nine wines by these guys as November is Market Vineyards Month on the blog and I'm really excited about it! All of their wines are named after financial terms, keeping with their original theme. 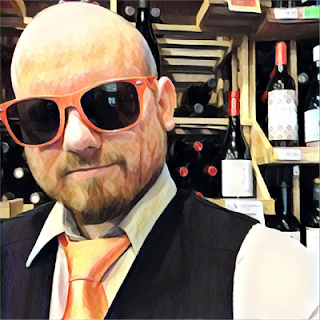 But with such praise among reviewers and wine consumers, and with such success in sales, a rebooting of the brand may be occurring soon to move away from a business-like image and into a new identity for greater appeal to consumers. Are you ready for a whole month of Washington State wine? I sure as hell am! Let's get started as soon as possible!